We build Awesome & Affordable websites. Find out more about how We can help you to grow your business. At The Web Studio, our goal is to provide awesome & affordable web design to individuals, small businesses. We believe beautiful websites can be affordable to everyone. We love the little guys, the newbies, the up-and-comers, but we also work with some big to medium-sized brands and some kickass startups, too. No matter what the requirements, our process allows us to discover, analyze, create and develop unique solutions that cater to our clients needs. The Web Studio, Designers of professional custom built web sites, for much less than you think. We believe that creating a successful web presence should be easy and affordable. Our pledge is to provide you the best-quality, most fully-featured services at reasonable prices. Your web site is critical to the success of your business. Let The Web Studio help you establish an online presence quickly and affordably so you can concentrate on what you know best – running your business. We design beautifully simple, engaging, full screen experiences, all from a mobile-first perspective. Our approach utilizes fluid grid concepts, allowing your content to fluidly adjust to any browser size. You’ll never have to worry about how your site will display on a user’s various devices. We design and develop custom, full eCommerce solutions catered around you and your business needs, providing you full control of your online inventory and consumer base. We can take on any eCommerce challenge to create a solution that’s effective for both you and your customers. Our CMS solutions are custom designed and developed to fully integrate into your website, providing you with a simple interface and all the tools to manage your online presence. Our goal is to create a seamless experience that makes your business operate more efficiently and effectively via the right tools..
Ready to start a project or want to learn more about our process and how we work with clients? Let’s get it scheduled. Please fill out our contact form and we’ll reach out to get the conversation started. The Web Studio the absolute best thing since sliced bread. 24 hours within the first contact our web site were up and running. Thanks to Shane’s excellent work on our web site it gives marketing a whole new meaning. I would suggest The Web Studio to anyone who believes in excellence and sufficiency, Thank you Shane. Keep up the great work. We look forward in working together again in the near future. The Web Studio has been the greatest find in my career so far. I needed a web site set up quickly but I couldn’t quite afford the ten thousand or so which was the average price quoted to me by other webmasters. Shane Rossouw was recommended to me by Richard Harrison who used him to set up his very successful www.firstflutes.co.za web site. Within a day of contacting Shane and giving him my requirements, he set up the web site exactly as I wanted it. Over the next few days I adjusted the various pages (and regularly continue to do so) and he implemented my changes immediately. Creating this web site has given my career much greater credibility and the quality of the site has been remarked upon by people I work with from all over the world. I cannot recommend Shane’s services highly enough. WHAT VALUE FOR MONEY!! Shane has proved nothing but efficient with regards to the design and hosting of our web site. His turnaround time has been less than 24 hours, with regards to our requests, changes and updates to our web site. For any of your web design & hosting requirements, we would not hesitate to recommend The Web Studio’s services!! A huge “Thank You” to Shane for an excellent website! David and I would like to extend our gratitude for the fantastic website that The Web Studio set up for The Weatherwise Group.It is a huge challenge for a SMME with limited knowledge or understanding of the vast world of the internet, to perform a simple task like set up a Company Website. We knew we needed one, but getting one was a little like catching a unicorn! Until we were advised to give The Web Studio a try. Shane’s professional manner and excellent knowledge, coupled with his patience in waiting for content, his artistic and design capabilities and vast technical knowledge has made the whole process of setting up, activating and running our website an absolute pleasure. Shane listened to the brief, interpreted it perfectly, consulted with us on changes and finalization and launched the website with very little stress or fuss. Since then, we have added content, made changes and updates and the ease with which this can be done makes the process such a pleasant one! Dealing with Shane from Web4Nothing has been marvelous. Where in the world do you get something for nothing, there always seems to be a catch, but we can vouch that there is no catch. Our magazine really needed a web site and within one weekend, it was up and running as efficiently as if we had paid thousands for it. Shane, I wish you all the success in the world and thank you so very much. Thanks for setting up the Life Talk web site in such a speedy, effective and helpful manner – it looks really great! The fact that you didn’t charge for your time during the set-up was magic. I have recommended you to anyone who might need a site. The Web Studio has been extremely efficient and professional in setting up and hosting our Blossom Buddies web site As a result of having our web site, we’ve received a lot of interest, including some international orders. 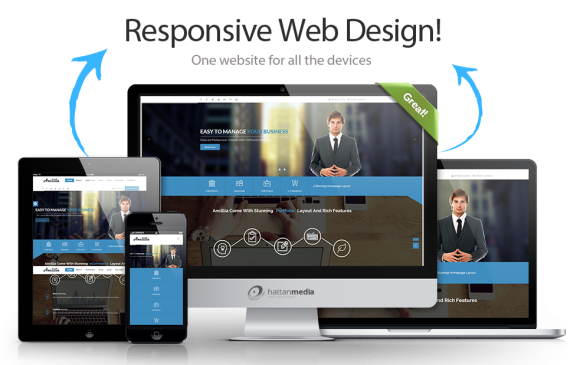 We, at Blossom Buddies, can certainly recommend The Web Studio as an effective and professional web design and hosting partner! Dear Shane, Thank you for one of the most exciting experiences in countless years! Simple though it is for so many, I have stretch beyond my imaginary boundaries! It has been such a pleasure working with you. I wish you great success and much joy. Only the very best. Shane from The Web Studio approached us to build our web site for nothing. Amazed that there could still be freebies out there, I took him up on the offer. Within no time at all, we had our web site set up and running. Shane you have done a wonderful job. Thank you! The old way of designing in just HTML code is something of the past. We now take full advantage of the rapid development provided by the CMS platforms, namely WordPress and Joomla, the 2 most popular Content Mangement Systems. 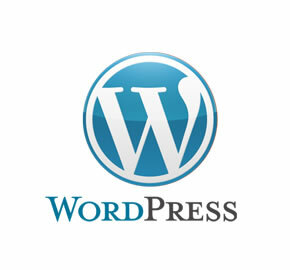 WordPress is a open-source content management system (CMS) based on PHP and MySQL. 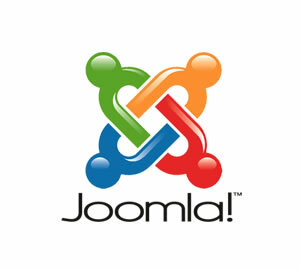 Joomla is a open-source content management system (CMS) for publishing web content. The process of affecting the visibility of a website in a web search engine’s unpaid results.